Scania and Northvolt have jointly agreed to develop and commercialise battery cell technology for heavy commercial vehicles. Scania today announces that it is investing EUR 10 million in the partnership to enhance further development and support the establishment of Northvolt’s demonstration line and research facility. Vehicle electrification is rapidly advancing and offers a favourable path towards more sustainable transport solutions. For heavy trucks and buses, continued development of both charging infrastructure as well as more robust, cost efficient and sustainable battery cells is crucially needed for a widespread market breakthrough in commercially viable electrification. Different transport assignments will require different electric powertrains. For optimal effect, battery and cell technologies must therefore be developed to support varying needs. “We aim to make it easy for customers to select sustainable transport solutions. Electrification will play a key part in the shift to a fossil free transport system. However, the current battery cell technology must be developed to fulfil the business requirements of heavy bus and truck customers. With Northvolt as a partner, we believe that we can make major strides forward,” says Henrik Henriksson, Scania’s President and CEO. 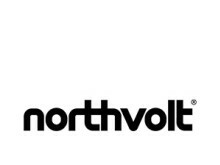 The two companies will establish an expert team and work together at Northvolt’s research facility, Northvolt Labs, in Västerås, Sweden, to develop and commercialise production of battery cells optimised to power commercial vehicles. The companies have also entered into an off-take purchase agreement for battery cells. Production of battery cells is energy intensive and Sweden offers a solid supply of cost-effective green energy. The country is therefore well suited for large-scale sustainable battery production. Northvolt is building the next generation battery factory in the city of Skellefteå in the north of Sweden with the objective to produce high-quality green batteries, with a minimal carbon footprint and the highest ambitions for recycling. This partnership is one of several strategic initiatives in Scania’s ambition to drive the shift toward a sustainable transport system. Scania is a world-leading provider of transport solutions. Together with our partners and customers we are driving the shift towards a sustainable transport system. In 2016, we delivered 73,100 trucks, 8,300 buses as well as 7,800 industrial and marine engines to our customers. Net sales totalled nearly SEK 104 billion, of which about 20 percent were services-related. Founded in 1891, Scania now operates in more than 100 countries and employs some 46,000 people. Research and development are concentrated in Sweden, with branches in Brazil and India. Production takes place in Europe, Latin America and Asia, with regional production centres in Africa, Asia and Eurasia. Scania is part of Volkswagen Truck & Bus GmbH. 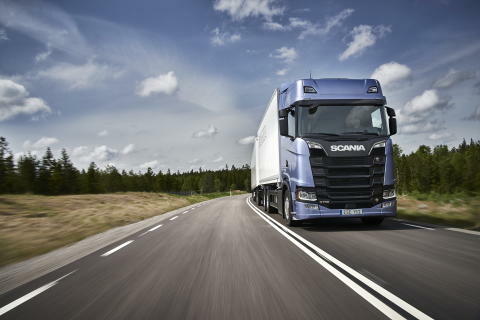 For more information visit www.scania.com.